Martin Luther King Jr. Day was celebrated across the country on Monday, with festivities, parades and events all geared toward continuing the legacy of one of America’s most iconic civil rights activists. 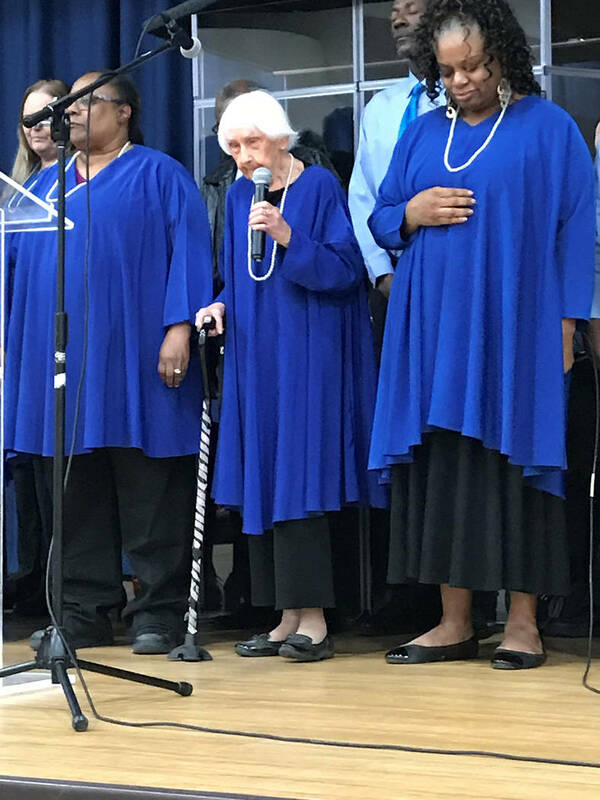 Vern Hee/Special to the Pahrump Valley Times The Martin Luther King Jr. Community Choir was just one of the entertainers gracing the stage during this year's All People's Lunch, a scholarship fundraising event hosted in memory of the civil rights activist who believed in the value of education. Vern Hee/Special to the Pahrump Valley Times Pahrump Martin Luther King Jr. 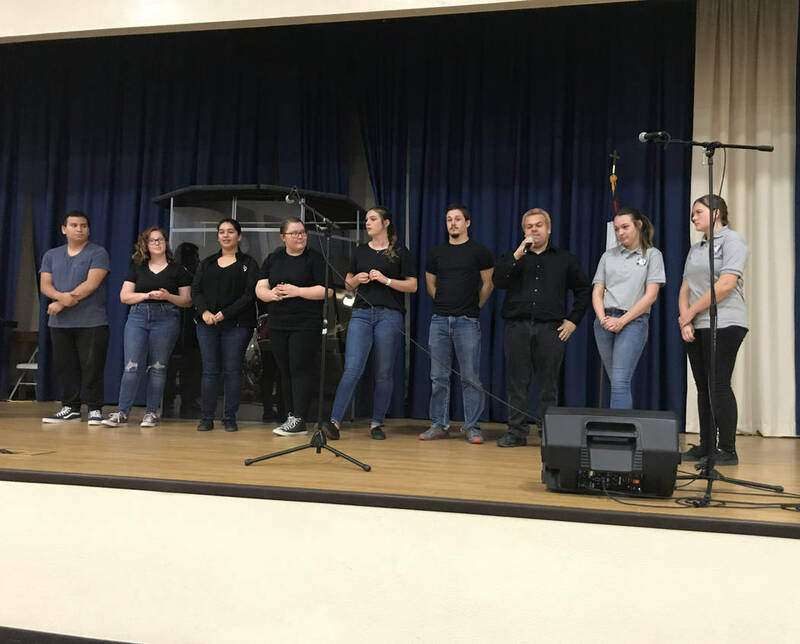 Scholarship Foundation officials offer thanks to the committee members, Pahrump Valley Key Club and AmeriCorps volunteers for all their assistance in making the 2019 All People's Lunch a success. 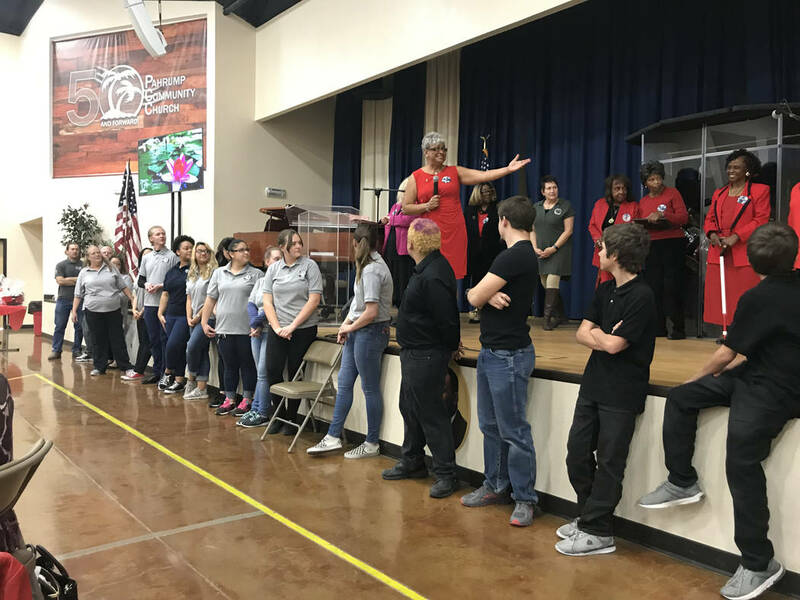 Vern Hee/Special to the Pahrump Valley Times High school seniors from both Key Club and AmeriCorps were invited on stage to share where they are planning to go to college, to inspire attendees to increase their donations toward the Martin Luther King Jr. Scholarship Foundation. Vern Hee/Special to the Pahrump Valley Times The Blind Singers of Las Vegas perform during the All People's Lunch, held Jan. 21 at the Pahrump Community Church. Here in Pahrump, the local Martin Luther King Jr. Foundation hosted its annual All People’s Lunch and it was hailed as a success, raising thousands of dollars which will be infused back into the community via scholarships for area students who plan to pursue higher education. Martin Luther King Jr. Foundation member Delores Joyner said scholarships are one method of honoring the man’s memory, as King always believed education to be a valuable asset. 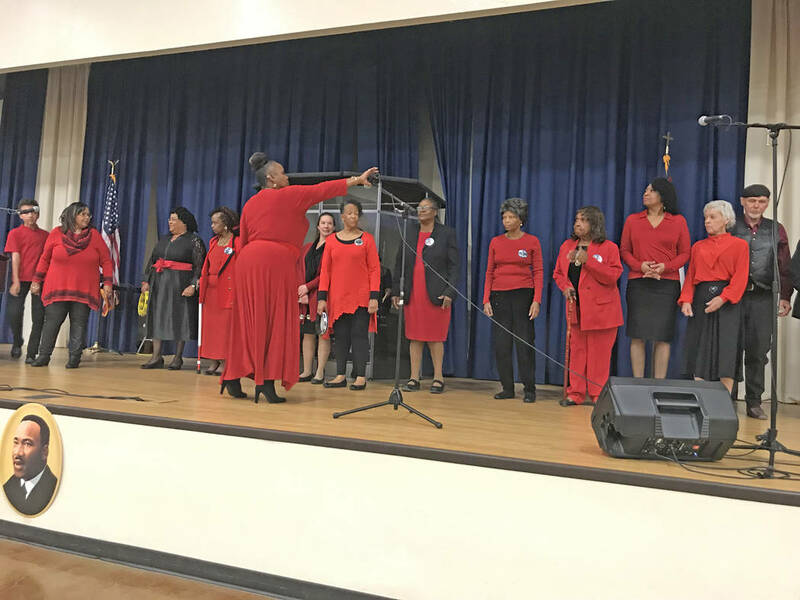 Though the All People’s event saw a dip in attendance in the past couple of years, Joyner noted that this year things were ticking back up to where they were previously, a fact she was very pleased by. Though the lunch had only ended hours before her interview, Joyner provided a best-guess estimate of the amount brought in during this 2019 event. “It’s a little early to know exactly how much we raised but I know we did a few thousand dollars, for sure, because I did the silent auction and just with that we were almost up to $600. And with the ticket sales and everything else, we’re probably close to $3,000 after expenses,” Joyner detailed. Just because the event is over does not mean residents cannot still help boost the organization and its mission. Joyner said there are spots available on both the scholarship committee and the board of directors and anyone who wishes to join would be more than welcome. “And of course, people can always donate, we are still raising money. We don’t give the scholarships out until the end of the school year so if someone would like to donate, that would be amazing,” Joyner stated. “Now the big part comes – getting the scholarships to the kids,” Joyner continued. She emphasized how imperative it was for students to submit their names, not just for the Martin Luther King Jr. scholarships but for all scholarship opportunities. To learn more or to get involved with the foundation you can call Joyner at 775-727-0473. Donations can be mailed to the Pahrump MLK Foundation, care of Delores Joyner, 740 E. Elderberry St., Pahrump, NV, 89048. Go to pvtimes.com and our Facebook page to see a video and more on Dr. Martin Luther King Jr.